As we commemorate the 10th anniversary of the 9/11 World Trade Center attack, the crash into the Pentagon, and the attack on United flight 93 to San Francisco, this image below comes to mind. 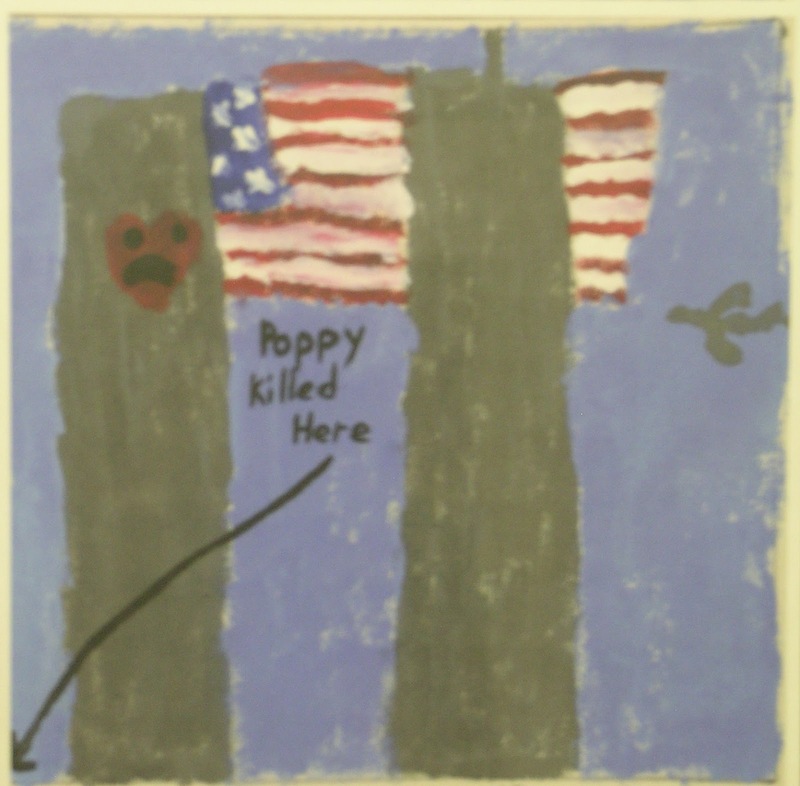 This comes from a tile painted by a child who lost his/her "Poppy" in New York that fateful day. It hung (along with many other tiles painted by children who lost parents) in the World Trade Center transit area, between the subways and the street. I saw it on a trip to New York in 2007. We're grateful our friend Jordan, who was scheduled to fly on flight 93, caught a flight out the night before. We're grateful that our cousin was late for a meeting in the second tower. At least one of her coworkers who went to the meeting died. I've been spending a lot of time recently reading and listening to stories of those who lost loved ones in the attack. StoryCorps has some tear-jerkers here. And maybe you saw the "famous 9/11 faces: where are they now" spread by the SF Chronicle. Here are some Bay Area reflections from Tales Told from the Road and NPR. Where were you on 9/11, and what stories about that day can you share?